This is a collection of all of Juiceman's favourite healthy and tasty juices, smoothies and dishes. Flick through the 100 pages and a whole new world of flavours and delights will be introduced to you. Andrew Cooper is a busy ol' bean. 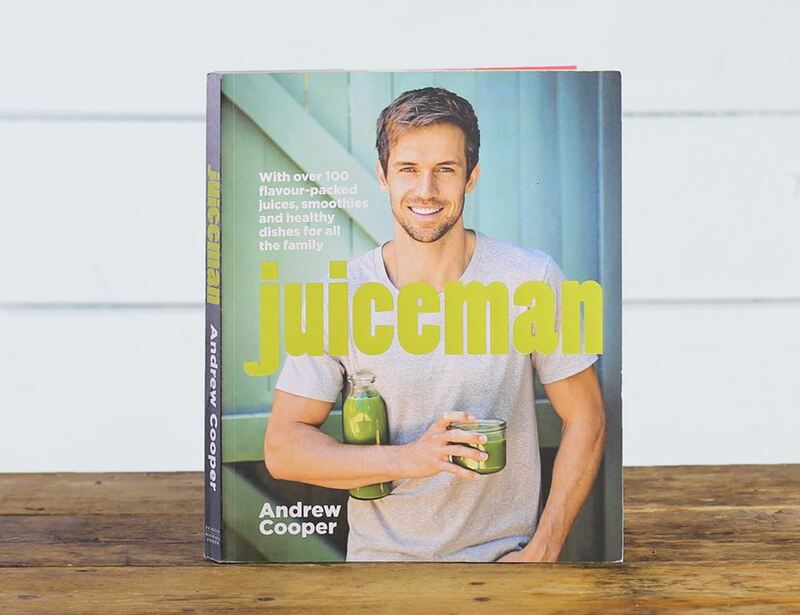 Not content with being an international model and actor, he’s also fast becoming an expert in the UK on all things juicing. They don’t call him Juiceman for nothing after all (he’s This Morning’s resident juice-guru and everything). We’ve teamed up with this enterprising chap to offer you a range of spectacularly wholesome organic juices and nut milks; cold pressed to preserve the best of the top notch ingredients and bottled by hand in Kent.